Let Project GreenPower show you how to control your home or office from one hub. 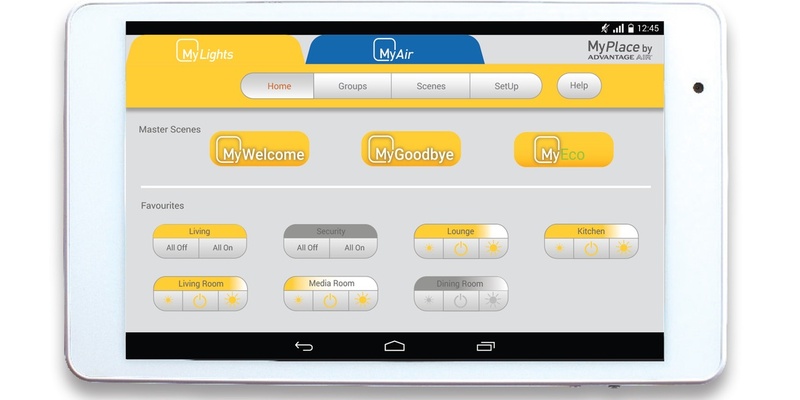 MyLights’ seamlessly integrates with MyAir air-conditioning so you can adjust your lights and reverse cycle air conditioning from the same touchscreen. Tap the Android icon and it’s also a tablet that can be loaded up with other smart home products and your other apps. Smart lighting systems are no longer a luxury. Not only does MyLights cost substantially less than other smart lighting systems and is more energy efficient, you benefit from the quality and reliability of an Australian made system. 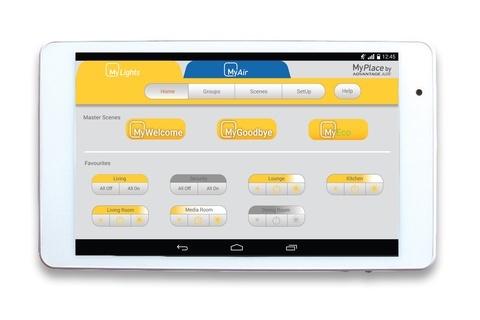 With MyLights enjoy the comfort of being able to turn on your lights from the car, so you always walk into a brightly lit home or office. Project GreenPower can show you to control your lights while on holiday, so it always looks like you’re home. The comfort of knowing by switching to LED lights, you’ve reduced your lighting energy consumption by up to 80%.